The Migrator has docked on Club Penguin Rewritten at the Beach! 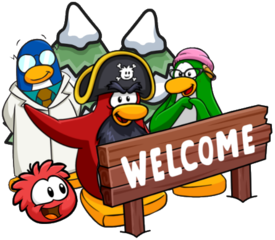 It contains a new selection of rare items and the return of the noticeboard, but in order to access this, you will need Rockhopper’s key. If you’ve not already obtained the key, head to the Book Room and read the “Journal of Captain Rockhopper”. 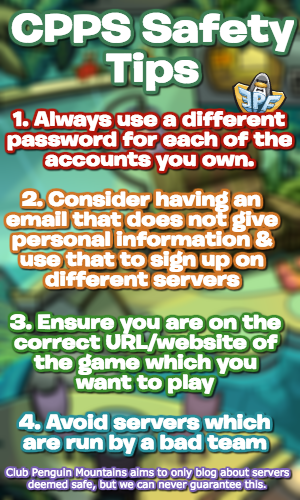 You will find the key on the last page so you can explore all the Migrator! Rockhopper’s Rare Items have been updated for this month, and can be found by clicking the bottom right icon at the Ship Hold! Everyone can receive the Coins for Change background for free, which looks really cool, but there are no secrets in this catalog. You can then proceed into the Captain’s Hold! The Notice Board has also been updated, themed with Christmas. From the notice board, it seems like we’re going to get this design where the coins increase over time for the Beacon and Lighthouse during this Christmas Party, but this is not confirmed. This was a really nice touch, where the coins would gradually fill the Lighthouse! Talking of coins, Coins for Change has returned! You can donate in the Captain’s Quarters, and you’ll also be able to play Treasure Hunt there. If you donate, you will receive the Coins for Change 2018 Pin. There’s a whole load of Christmas and Holiday decorations all around the ship too! That concludes everything on the Migrator, though there are many cool decorations across the ship to explore! Rockhopper is confirmed to be visiting this month, and you can view a tracker for him here. Are the treasure sandbox stamps working?